With step-by-step instructions and large color photos, you will see that even a novice sewist can feel confident taking on a purse project with this FREE e-book. From the Blogger: "Fleece ear warmer headbands are perfect for exercising in the outdoors during the winter. You can put your hair up in a pony tail but still keep your ears warm. This tutorial features step-by-step instructions as well as a printable PDF of the pattern. You only need a little bit of fleece (about 1/4 of a yard!) to make this quick and easy project. Follow the instructions to make this simple one or add some embellishments to personalize it!" Fleece ear warmers are surprisingly warm and very light weight. Only yard of fleece fabric is needed. The tutorial is easy to follow and there is a free pdf pattern to download. 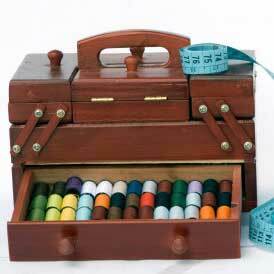 This sewing project is great for gift giving. I have so many fleece fabric leftovers that this project will be perfect for. Where was this two weeks ago when I was looking for earmuffs? Oh well - I can always make it for next year! If youre like me, you dread going out in the winter winds because of the threat of ear ache. And Im not a real fan of beanies. But this is a super idea - warm ears without the hat hair afterwards. Theres a one-page PDF pattern to print out so you dont have to rely on your own drawing skills to create the correct shape. Im definitely going to be making a couple of these for myself.